Back last summer something pretty special happened and just incase you missed all the photo's on my instagram and tweets and general excitement on my part- We got a puppy!! I've grown up with Border Collies and I've wanted my own dog for such a long time so when my other half slipped into a conversation with some friends the words 'we would probably have time for a dog now' he came home from work the next day to around 15 tabs open on my computer showing him all the puppies in the local area. This was Haku when we first went to see him. We went back the next day to collect him. I really love dogs and the fact that you can create this bond with an animal and they don't care how you look, what you wear or what you say. They only want love and looking after and they love you so whole heartedly in return. It's been a little dream of mine that I'll be working from home, with a lovely doggy companion and we'll be able to go for long walks together, and not have that stress that comes sometimes with other people -- A bit sappy I know. Unfortunately things did not go exactly to plan, a few days after we bought Haku home he got really sick, couldn't keep any food whatsoever in and eventually stopped eating altogether. Being such a young puppy this was not good news and we spent every day in and out of vets, no-one could tell us what was wrong with him other then it was probably just a bug and hopefully it would pass so we opted for giving him some time to see if it was just a bug and it would pass over. He was so weak, he would just go outside onto the grass and lie in a corner of the lawn and not move. It was heart breaking, neither of us could work or sleep, and think straight. It only got worse we had to go to the emergency vets one night as he hadn't eaten for around 3 days, barely drank and he just stopped responding to us. He got injected with a fluid boost and we were sent home again, all we could do was wait. After just over a week the vets suggested he may of eaten a pebble or something that had blocked up inside of him and if still no better the next day it would be x-rays and perhaps an operation. Of course we had no insurance since he hadn't been able to have nay of his jabs yet so all the costs soon mounted up and the vet advised the costs of those procedures would be £600+ so not only were we sick with worry about Haku, it was about whether we could afford to carry on. Then..that same night, around Midnight, Haku took some food from one of us! It was a small miracle and we still had to be careful incase he took too much and it upset him again, but he was very much on the road to recovery! Good news! He made a full recovery and after such a horrible week and a bit, we suddenly realised we very much had a puppy on our hands! Boy was it hard work!! I won't lie, I'd forgotten how much hard work having a puppy is. After around week 12 things started to get more 'normal' Haku had learnt to go outside, so no more accidents indoors, he knew what to chew and what not to chew, and was well on the way with his training. Having Haku has made such a positive impact on my day to day life. I have to get out and take him for a walk every day meaning exercise, he doesn't allow for those stormy moods to last for long and he still does the bum wiggle when he says hello to me! Haku is now 8 months old, and we still have a little way to go on the *training front, but we are getting there :) Lots more adventures await for our little family! *For training we used 2 great books - The complete puppy and dog care which is a great book, covers what dog breed would be right for you, toys, crates all the way through to training walkthroughs. The Culture Clash A brilliant (if a little wordy) book on dog training, the mentality dogs have and how we perceive it. Includes some great tips, like a list of all things you need to dog to see before he is considered 'socialised' , rainy day games, training exercises and so much more. I'm finally back at my desk and settling into the new year and after taking a little time looking back over last years planner before it goes in the bin, I've realised how far my little business has come in a year. Since I've enjoyed reading other people's posts about their achievements I thought I'd share mine too. 2014 saw me; giving up my part time job, licensing my first card designs, doing my first trade fair, hiring a professional photographer, joining Not On The High Street, working on my first book, celebrating the Business's second birthday and having my products sold in Etsy house! After a busy January working like a mental person to get new products ready I exhibited at my first trade fair in February (Spring Fair!!) and shared a few valuable tips about my experience of it. This was a huge learning curve for me and I learnt so very much, not only from chatting to buyers, but also other exhibitors, and even attending some of the seminars. Just before the Spring Fair I picked up my first international stockist in Switzerland after being featured in Country Living magazine which was amazing, and I'm still waiting for a good excuse to go and visit! February also saw me begin an awesome partnership with the super talented Holly Booth Photography. Based in Derby I had spent a lot of time enjoying the work Holly had been doing with other creatives, and I won't lie...I really hate taking product photo's. I can't get the lighting, there is no nice space in my house I can use, things fall over, look messy and I get fed up. So I knew I had to bite the bullet and I'm so glad I did. Holly has done all my photo's since and I've never looked back. I also traveled to Sheffield one very rainy day and gave a presentation on myself and my work to an art group there, which I was very nervous about, but they had tea and biscuits and they got so involved and interested in my work that I soon settled down and it went really well. April saw me exhibiting at BCTF in Harrogate, then along with lots of lovely wholesale orders, the commission work started coming in and things got rather busy! The summer and autumn blur together in a wonderful work filled haze, I spent my weekends selling at markets, the weeks illustrating, and the realisation that I was being able to support myself through the business was truly brilliant. - I still feel like it might of just been a lucky break and it might come to end at any point! July - A Glimpse of my stand at the Fabulous Places Summer Market. In November I'm really pleased to say that my products were selected for the fantastic Etsy House Shop that opened for one weekend only in Covent Garden. The shop got so busy people were queuing outside to go in! In between markets and Christmas orders I handed in my first black and white illustrations for a fiction book in December which I'm really pleased with and I will show you more when I can. 2014 thanks you were a blast and I hope 2015 can compare!! Well it's almost that time of year again and I'm off and doing some markets too :) Here is where I will be over the festive period so do pop by and grab some goodies! Well it sure has been a while hasn't it? 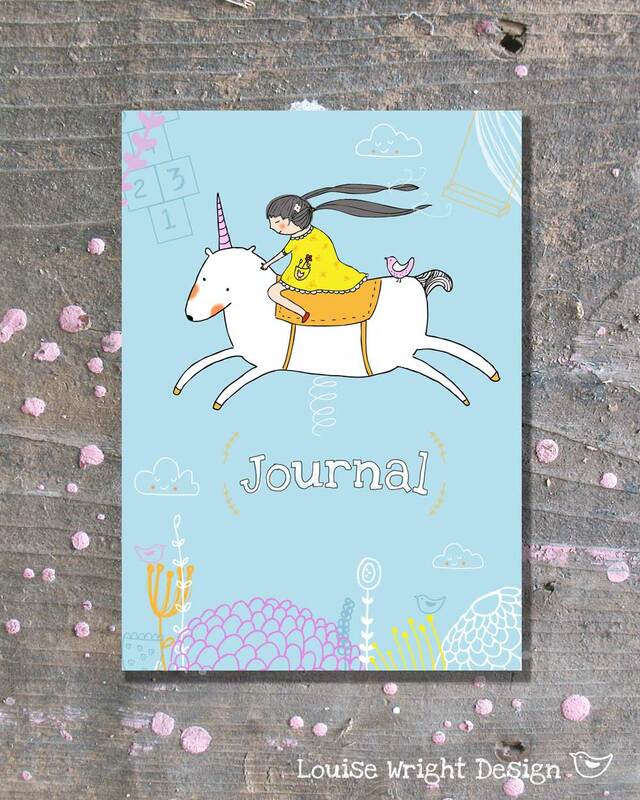 This is one of the new cards that is going to from part of a 'Chalkboard' range, can't wait to share more!! I wanted to share with you this months Bootcamp work! I missed the deadline to get this up in the gallery, but I was having a lot of fun with it so continued to work on it. Lilla wanted us to draw people in this assignment and made it an editorial piece to accompany a magazine article about being distracted during meditation how to find your focus if you don't like doing it. I love meditation and most of you that follow me on twitter and things will know I go to Yoga and Pilates, and anything that means I get some head time, so although I didn't relate directly to this article it really struck a chord with me. I'm loving all the spring, bright clothing that is around at the moment so I really wanted to include this in my illo, plus, I still LOVE my harem pants I got in India so they HAD to feature in here too!! Right, now back to illustrating for me ! Last night we went to The Broadway cinema in Nottingham to go and see Miyazaki's final film, The Wind Rises. 'Jiro (who’s voiced by Joseph Gordon-Levitt in the excellent English dub) has been born into troubled times. Japan is stumbling into the modern age: recession, natural disaster and the threat of war float like fog above the shadowed landscape. When Jiro travels from his rural home town to Tokyo in 1923, his train is derailed by the Great Kanto Earthquake — a devastating natural disaster which he experiences as a kind of premonition of the destruction his aeroplanes will one day bring about. Tokyo’s buildings lurch upwards while the ground grumbles and roars beneath them: one of many sound-effects generated by the animators’ voices. At times, it feels as if the film is reading itself aloud, like a living story-book. In the last year I have gone from working very traditionally, completely clueless about digital art and how to do it, to almost all digital! It has been a huge learning curve for me and I'm still learning. I try and create texture in my work still so it isn't just a flat digital image. I still find it pretty time consuming and I struggle with picking colour on the computer with the ease I do with collage and paints. I still start everything off with my pencil and my sketchbook and explore ideas before taking the final one into the computer. With the way I work changing, the images I create have also changed a lot, I think my work now is much more commercial then it was even that year ago, which it needs to be for me to venture into licensing and picture books. I just find it crazy to think of all that has happened in a year! Lilla (inspiring as ever) first set us a 'mini' which was to draw lots of different kinds of cuckoo clocks! I have never drawn a cuckoo clock before, plus I was really busy this first week so I shyed away from starting the assignment for a little while, but when I finally started I don't know why I was worried! Cuckoo clocks are such fun! A small preview of some of my sketch work. Next came the announcement we were making phone cases based on our cuckoo clock ideas! I've never designed for a phone case before so this was pretty fun! I'm super glad to be immersed back into 'Lilla land' where there is this awesome supportive community and all this inspiration! So if you follow me on twitter/facebook you'll know that last week me and the amazing Holly Booth hooked up to drink tea and take some photo's of my brand NEW products! So although all the photo's haven't been edited yet Holly dropped me a cheeky little look at a couple of pics this morning! Hope that you are keeping well, safe and warm in the rough weather? 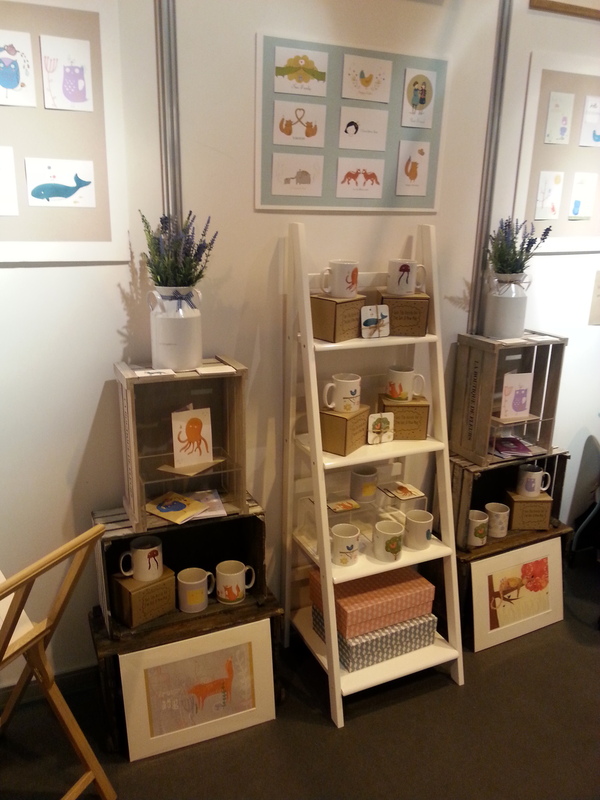 So, I’ve had a little time to recover, and thought I’d tell you all a little bit of my experience of exhibiting at Spring Fair International, at the Birmingham NEC – my very first trade fair! I won my stand at The Spring Fair through the Prince’s Trust (such an amazing opportunity!) So, even though I had carefully chosen a smaller, very nice trade fair for my first fair to dip my toe into the water ( BCTF) I was given the opportunity to dive in head first, and I just thought....Why the devil not!? 1. Do plan out your stand at home so you don’t get any nasty surprises when you arrive! I made lots of little sketches until I got one I liked the feel of, and then began fleshing it out with real furniture. Finally once I had everything I measured out the size of my stand and assembled it roughly at home to make sure it felt and looked right. I wish some-one had told me about point number 2 before all my late nights! 3. Take something along to sit on. You can’t sit down all the time, but quieter periods will come and a subtle sit down will certainly help those sore feet. 4. You’ll need some information to hand to give out to potential stockists. Don’t just hand these out to everyone possible as no doubt they will of been costly to produce and you don’t want them all gone when that buyer from Paperchase comes by ;) Hand them out to people who seem genuinely interested. 5. Things you might want to cover in your stockist information – Prices, product images and info, minimum order amount, carriage paid amount, your turnaround times and your general T&C’s. A little close up of some of my new mugs! 6. When someone does come and have chat to you and asks for your information, don’t forget to ask some questions about them and make a note of who they are and what they were interested in. Then follow up, follow up, follow up! I hope this helps a little and for some more in depth info check out Sue Bulmer’s fab blog series on her first trade fair and all the build up (I used this alot while doing some deep breathing) haha! Remember to be nice and make friends with your stand neighbors, they will help you out when you have to pop to the loo and it breaks the day up a little to have someone close by to have a natter and a giggle with during a quiet period! I was lucky enough to be next to the lovely Sarah Wardle - the lady behind Miss Nova Designs! I wanted to share some new work I've been doing for Bright lately :) Get your Christmas hats on folks! So you can see why I've been so quiet right? I wanted to share with you my 100% recycled Christmas cards, all designed and illustrated by me of course, they are provided with a 100% recycled envelope and biodegradable packaging of course. It's all about the penguins this Christmas! I've been meaning to share a video with you showing you into my screen printing process a little :) Here is me printing some of the Summer Deer tote bags a week or two ago! Screen Printing from Louise Wright on Vimeo. This was filmed at Green Door Studio in Derby and the music is Jenny Owen Youngs. I screen print with water based inks which makes them eco-friendly, and all of my cotton is organic and fair trade too! I also re-designed all of my packaging this month too so when you order something from me or one of my stockists it'll be poshly packaged! Here's a little peek of my tea towels looking all swanky! Global Talent Search Round 2! Well the weekend has passed, I have drank wine and recovered from my uber busy week last week! And now I'm ready to share my GTS entry for round 2 with you guys! I was super busy in the run up to this and so I didn't get as long as I would've liked to spend on this but it doesn't matter, I still had fun with it. The brief was to create a design that could be used on a tote bag to be sold at a farmers market that involved fall/autumn activities in one way or another. This one for me was all about the joy of Autumn, and when I'm outside this is how happy I feel inside. There is nothing I like more then a big cosy scarf and cardigan too! I was in love with this palette for a while but I just couldn't imagine it on a tote bag and I just wasn't 100% on it. I tried a dark purple background but that wasn't meant to be either. At this point I went away from the computer and hid for a while because I was struggling to see past the brown background but knew I didn't like it. Then after lots of tea and tweaking my entry was finally ready...here we go! After spending time away from this I can say that I love it and I'm happy with it no matter what the outcome of this next round. Sure I'll be a little disappointed if I don't make it through but I've seen some of the other entries and they are stunning. Everyone has worked so so hard and I want to extend a good luck to each one of you! Stockist News & Talent Search! I've just realised I haven't shared my good news with you guys on my blog (it has been all over my social media though so I'm sure you've seen!) .....I made it into the top 50 in the Global Talent Search!! The blog post with my journal entry is just below. This was such a huge surprise when I woke up and with sleepy eyes scrolled through the final 50, and wait...was that one near the bottom mine?! Oh my god! This is a huge deal, there were over 1,500 entries and from over 30+ countries, I still can't quite believe it. If you click on the little icon below it'll take you to the blog post with all the top 50 in it. In other news I have quite a few new stockists to announce but up first about a month ago my work got accepted into the beautiful Emporium Art Gallery in Lichfield!! They are now stocking a selection of my original mixed media pieces and screen prints! Here's a little pic of some pieces in there..